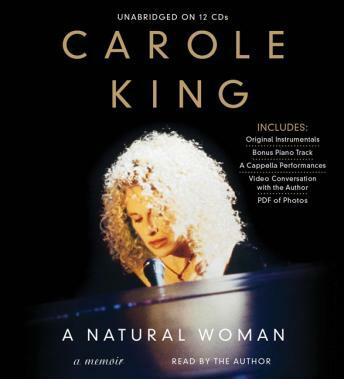 Carole King takes us from her early beginnings in Brooklyn, to her remarkable success as one of the world's most acclaimed songwriting and performing talents of all time. A NATURAL WOMAN chronicles King's extraordinary life, drawing readers into her musical world, including her phenomenally successful #1 album Tapestry, and into her journey as a performer, mother, wife and present-day activist. Deeply personal, King's long-awaited memoir offers readers a front-row seat to the woman behind the legend. The audiobook includes a bonus PDF of pictures, an original piano piece, a cappella performances, and a video conversation with the author are included.